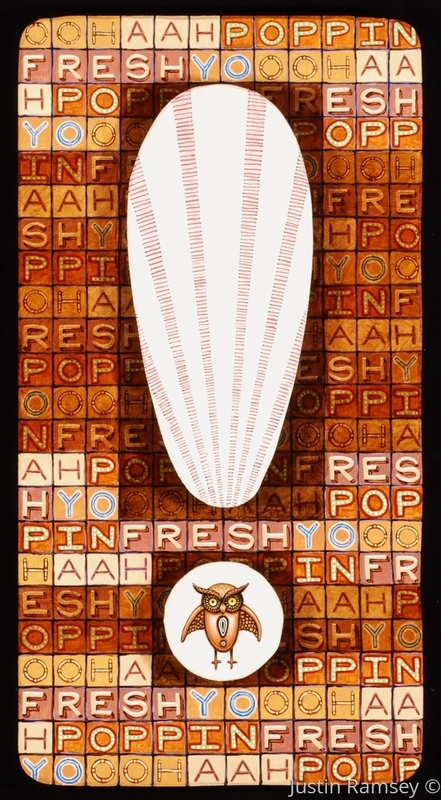 Part of the "-ation Series", this piece consists of the text "OOH AAH POPPIN FRESH YO", an exclamation mark, and an emphatic owl. This is an original acrylic and oil painting on artist cut and carved wood with rough-hewn beveled edges and 1 inch support extension from wall. Be sure to find your exclamation marks in the mist of the seemingly mundane.